The Attiny85, a small microcontroller. With it we can carry out small projects where do not need a large amount of memory or inputs or outputs. Programming an ATtiny is not complicated, There are 0,5€ programming boards in the market as shown in the right picture but they have some problems to be detected by the computer... or you can use an Arduino Nano, Uno or Mega to program it via SPI port as explained below. We are going to see how to do it with SPI port and using an arduino UNO as a programming board. 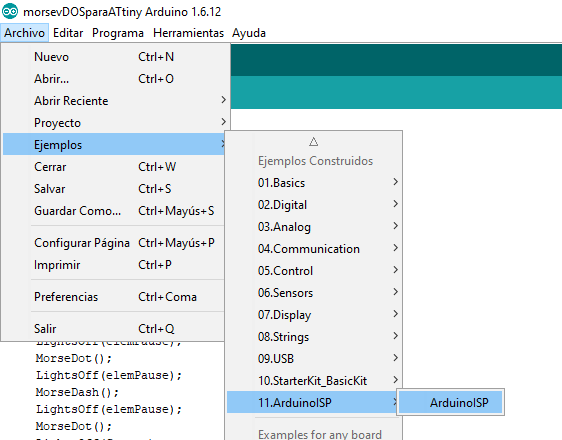 First prepare the Arduino as an ISP programmer. 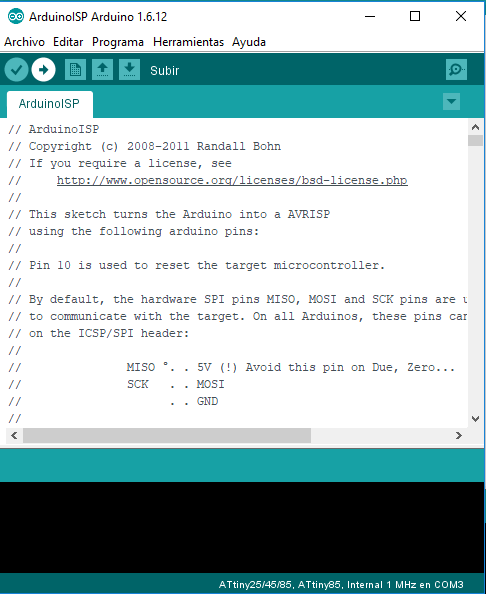 Select ArduinoISP Scketch and install it on your Arduino. If all works ok, unplug the Arduino to do the next step. 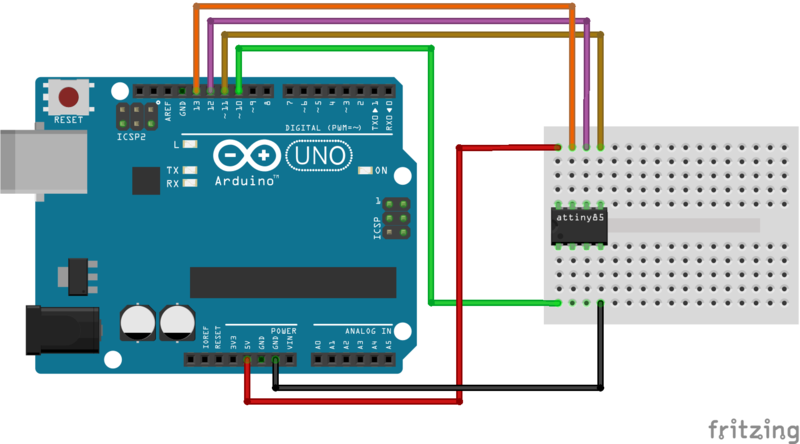 Now you can connect the arduino to the ATtiny. Below you can see the conections to do it. Take care with the Attiny UP position to avoid to damage the controller. Having the connections checked you can connect again the Arduino. Select ATtiny 25/45/85, processor Attiny 85 and Clock 1Mhz. 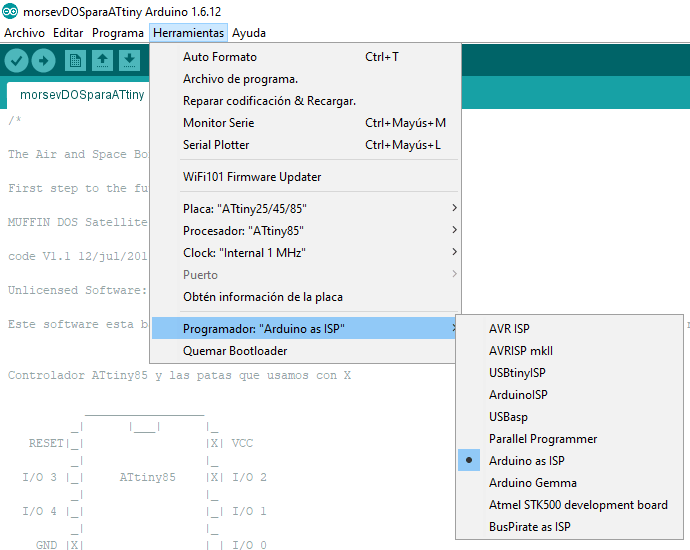 And very important to indicate Programmer Arduino as ISP, take care not to select ArduinoISP. 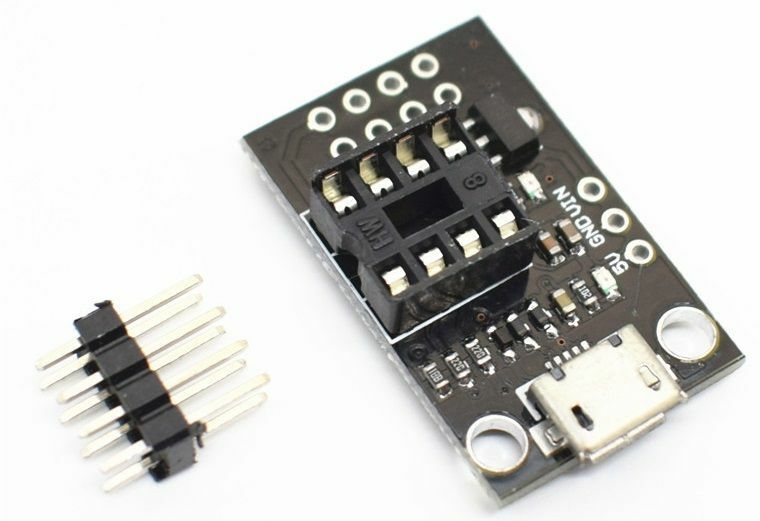 Now you can install the shield on the attiny as you do with an Arduino.